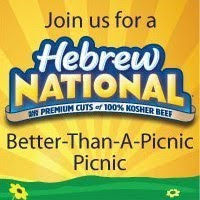 NYC’s Hebrew National Better-Than-A-Picnic Picnic OPEN to the public, this Saturday! Do you want to have something meaningful to do this Saturday? There will be FREE Hebrew National Beef Franks, refreshments, entertainment and activities. What makes this event special is that various people get together not only to enjoy each other’s company but also gather together to make a difference – to give back to the community. A Picnic with A Purpose, indeed! So come join me and the rest of the gang! Sounds like a fun event. Wish I could join you. Have a nice day, jenjen! @Veronica, someday ..and have a nice day, too!